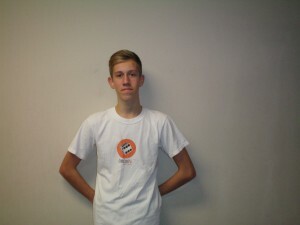 The 52nd Member of the Soccer Fitness 20 MPH Club, Daniel successfully completed 2 separate, 4-second running bouts at a top speed of 21 miles per hour on Thursday, November 10, 2011. Daniel is a student in the 10th grade at St. Micheal’s Collegiate Institute, and has been training with Soccer Fitness since May of 2011. Presently a member of the Richmond Hill 1995 Boys A team, Daniel has ambitions to play university soccer, either here in Canada or in the United States. We at Soccer Fitness would like to congratulate Daniel on his recent achievement, and are looking forward to helping him reach his soccer goals.